Our Birman club provides a meeting place for people who have a common interest; their love of the Sacred Cat of Burma. 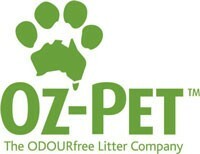 Our club is affiliated with the Queensland Feline Association Inc, which is a member of the Australian Cat Federation. We are a non profit organisation and our major aim is to promote the Birman Cat. and if you are interested in owning and loving a Birman, whether it is a new kitten or an older adult, please visit our Kittens Available Page and Breeders Page. If you have any questions after viewing our site please don't hesitate to contact either one of our Executives or a Member from the Breeder's Page. Our club would like to acknowledge the generous contribution by our principal sponsors.